What medications will I be given to help? Our St. Louis and Kansas City alcohol and drug rehab programs use medications that limit withdrawal from alcohol and drugs which include but are not limited to, Suboxone, Zubsolv, Bunivail, Subutex, Librium, and others as indicated by chemical of dependence. At the end of detox from alcohol and/or drugs, medications such as Naltrexone and Vivitrol can be used to control cravings and block the ability to obtain euphoria from certain chemicals. In addition to detox medications and medications that prohibit effects from drugs of abuse, other medications are used to maintain homeostasis and address the patient’s physical health. For opiate and opioids, our addiction treatment programs typically use Suboxone and other buprenorphine/naloxone brands, though treatment varies by individual. Our program provides detox and/or ongoing medication-assisted treatment. All medical and clinical treatment plans are based on each individual. Our St. Louis and Kansas City alcohol and drug rehabs provide a complete continuum of care. 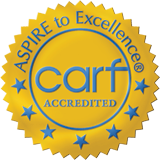 Care levels range from partial hospitalization, intensive outpatient, general outpatient (low-intensity outpatient), aftercare and individual services for substance abuse, behavioral health, and mental health care. Depending on each client’s needs and preferences treatment may start anywhere along this continuum of care. Our St. Louis and Kansas City addiction treatment transitions care in both directions ensuring a malleable structure that can rapidly adapt to our client’s needs. Clients are provided with medical, behavioral, and mental health care. Services include medical visits, counseling, family services, groups, and other quality of life improving services. There are no limits to the duration of treatment one may receive and the financial feasibility (through our in-network contracts, financing, and reduced costs) enables longer treatment times than can be found in most programs, resulting in better future outcomes. Our St. Louis and Kansas City alcohol and drug rehab programs utilize solution-focused therapies, cognitive behavioral therapies, motivational interviewing, EMDR and other trauma therapies, family system therapy, and more.. Our addiction programs are not 12-step based, though we as an organization are highly supportive of their combined use, as well as other community programs available. Substance abuse or dependence are complex disorders that require a comprehensive approach. Therapy is one of the vital components to care during the addiction treatment process. Therapy includes individual, group, family, and family group sessions. The majority of our addiction treatment programs are comprised of individual therapy with groups as a support component. Family therapy in addiction treatment is important to the family/social health of the client and their family and is another ongoing process in addiction treatment. Typical addiction treatment therapy sessions range in length from 30 minutes to 1.5 hours and vary base on need. Our services go beyond addiction treatment and allow clients and their families to address other behavioral and mental health issues as our goal is to improve the quality of life for our clients rather than focusing on sober time alone. Our services are also available to individuals seeking general mental health and behavioral health outside of addiction treatment and benefit from the same quality service, access, and costs. Will this affect my ability to work or continue with other obligations? No, because of the way in which we have designed our programs and how we schedule service offerings we have the ability to be much more flexible than other addiction rehab centers while still providing unlimited quality services tailored to your individual treatment plan; MIA’s model is quality dense and conducive to your schedule. Our St. Louis and Kansas City alcohol and drug rehab staff are available at times when other facilities are closed. Our programs are accessible early, late, and on the weekends because we work around our client’s schedule and not our own. We are in-network with most plans. Many programs will state they accept insurance. Check with your insurance provider as there are major cost differences between those that are in-network and those that “accept” insurance as an out-of-network provider. Check your coverage carefully. Do you have mental health benefits? How many sessions per calendar year does your plan cover? What is your deductible? Our addiction programs are also available out-of-pocket for the client and/or their family if they choose. In these cases, we have financing options and payment options to reduce the financial burden on your family. Depending on coverage individuals may receive as much as 100% reimbursement and as little as none, though few individuals experience the latter. Though there is a cost to our addiction treatment program even when in-network with insurance payers, many financing options make our care accessible to the majority of individuals. Our prices alone make our programs much more accessible. Regardless of the type of billing, we provide the best care available to you, with unlimited services, at times that work with your schedule. Most insurance contracts dictate that an individual (in outpatient programs) attend 3-5 days each week with a minimum of 3 consecutive hours each day; this is problematic for the individual with other obligations and the services that are rendered consist mostly of large group settings that can be un-therapeutic when group sizes are not restricted. At MIA not only do we provide unlimited services that work with your schedule the services you will receive consist mostly of individualized services at convenient times. 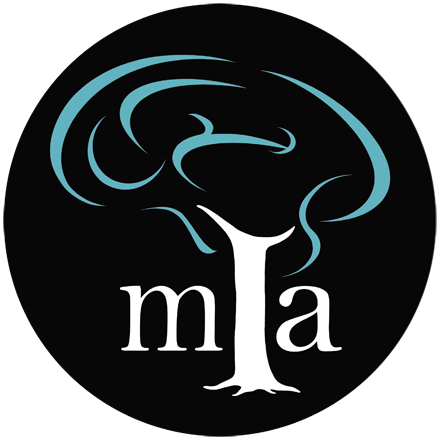 MIA’s programs are affordable, flexible, and effective. Do you have self-pay options? Yes, but not like most programs. Our self-pay clients benefit from self-pay rates. We provide cost savings to clients because there are cost savings for our organization. We provide financing options to allow individuals and families to budget treatment in a way that makes it less burdensome. Our clients are billed per service, not for whole programs or lots of time. YOU ONLY PAY FOR SERVICES YOU RECEIVE. The most beneficial policy we have is what we call “self-pay protective caps”. These limits allow self-pay clients to receive unlimited services after a monthly limit has been reached. For example, a self-pay client will pay per service until the protective cap is reached at which point all remaining services for that month are no charge to the patient. This allows clients to focus on improving their life without worrying about a large bill the following month. Can’t find your question? Contact our St. Louis or Kansas City Alcohol and Drug Rehab for answers.